Shangri-La Hotels and Resorts announced it will open its fourth hotel in Hong Kong on Kowloon’s vibrant waterfront. Offering sweeping views of Victoria Harbour and the Hong Kong Island skyline, the 545-room Kerry Hotel, Hong Kong is scheduled to open in December. The 16-storey waterfront hotel is situated in the heart of Kowloon at Hung Hom Bay. The unique design of the building’s podium provides guests, meeting/event attendees and diners extraordinary outdoor and indoor space with spectacular views. Over 60 per cent of the guestrooms feature harbour views, with rooms ranging from 42 square metres for a Deluxe City View Room to 294 square metres for Kerry Hotel’s stunning rooftop suite. Designed as an urban resort, the hotel will cater to residents of nearby offices and apartments as well as business and leisure guests. The hotel will offer five unique and affordable restaurants and bars, including a vibrant food marketplace with ten concepts that incorporate modern and traditional culinary techniques. Alfresco dining options will feature unobstructed views of the harbour and Hong Kong skyline. Hong Kong’s newest hotel also will have the largest meeting, event and catering facilities. In addition to the 1,756-square-metre Grand Ballroom that seats 1,030 people banquet style, the hotel has 17 flexible meeting venues that can accommodate from 30 to 660 people, plus indoor and outdoor areas perfect for high-impact creative events. Other hotel facilities include The Club Lounge, a 25-metre outdoor swimming pool, 24-hour fitness centre and select retail shops. The hotel will be seamlessly connected to the rest of Hong Kong via ferry, MTR, a bus interchange station and taxi and limousine services. The Hung Hom Ferry Pier is located at its doorstep and Kerry Hotel, Hong Kong is within short walking distance to the Tsim Sha Tsui East shopping district. The hotel will begin taking room reservations in September 2016. Kerry Hotels are the next generation of luxury hotels! Vibrant, unpretentious and flexible. Today’s traveler wants to engage all senses whether at work or at play. Kerry Hotels have a fresh and energetic vibe and offer some unexpected touches that fuel creativity yet allow time to recharge and relax. Service is less bound by protocol but is enthusiastic and intuitive. 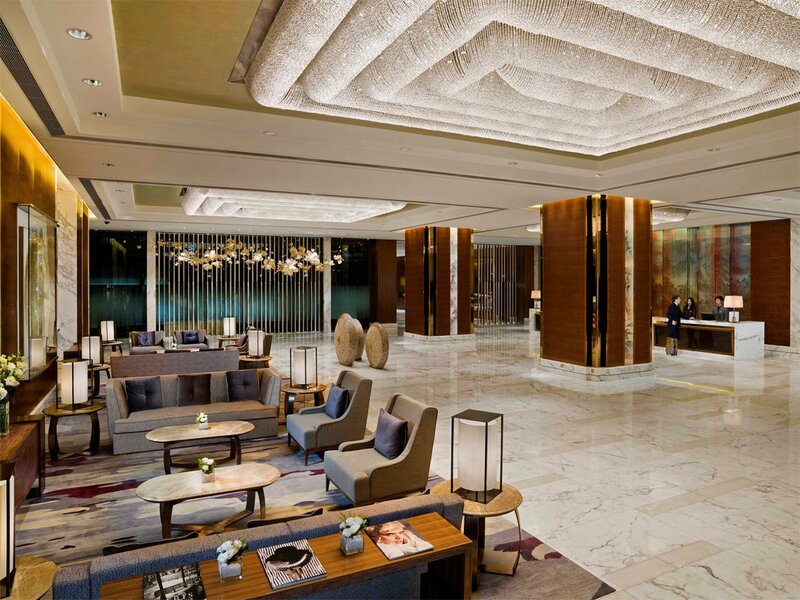 Launched in February 2011 in Pudong, Shanghai with a sister property in Beijing, Kerry hotels are seamlessly integrated with the surrounding environment in multi-purpose complexes. Extensive sports and wellness facilities and trend setting Food and Beverage concepts cater to the youthful and spirited business and leisure traveller looking for a quality five star hotel that focuses on their individual lifestyle needs. Kerry hotels represent passionate hospitality wrapped up in a stylish package.